So you probably won't be attending your own movie premiere or collecting a Grammy Award this year. That doesn't mean you can't look like you're ready for the red carpet and fawning paparazzi. In Effortless Style, June Ambrose, the celebrity fashion stylist and designer who's shaped the looks of some of the biggest names in entertainment -- including Jay-Z, Missy Elliott, Kelly Ripa, and Mariah Carey -- reveals the industry secrets that can help anyone exude genuine star power, regardless of body type or budget. The key to looking and feeling like a celebrity lies in defining your own unique style and adapting it to each situation. The result is a look as natural as a second skin. In clear step-by-step instructions, Ambrose shows how people can improve the way they present themselves to the world, whether it's for a first date or an important meeting, and in turn boost their overall mood and self-confidence. Using examples from her work molding celebrities' images, she teaches women (and their men) how to define and enhance their look, with chapters devoted to topics such as knowing what clothes work for each body type, how to accessorize like a star, the importance of tailoring clothes so that an off-the-rack suit fits like a custom-made Armani, and much more. She offers tricks of the trade -- from choosing the perfect lingerie to handling bad hair days -- and provides a welcome list of wardrobe essentials and perennial fashion don'ts. 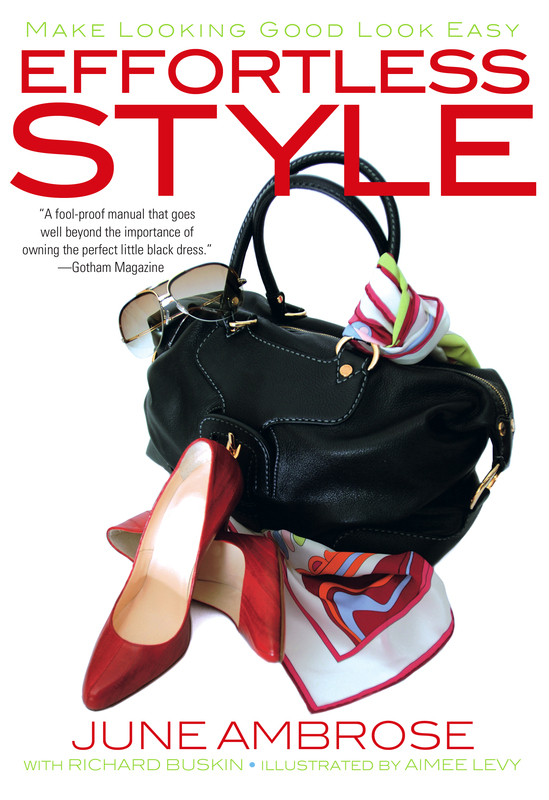 With this must-have style guide every woman, whether girl next door or top executive, will be able to unleash her inner VIP -- effortlessly. June Ambrose is a celebrity fashion stylist/designer. She has appeared on national shows including The Oprah Winfrey Show, The View, Live with Regis and Kelly, and Extreme Makeover, and on VH1 and MTV. June also owns the full-service styling firm Modé Squad, Inc., has created high couture dresses, and will soon bring her own couture style to a contemporary line of apparel to be called "Effortless Style Survival Kit by June Ambrose." She lives in New York City. "June Ambrose is an artist. She enhances who you are. It's a joy to work with someone so passionate!" "June Ambrose -- or as I like to call her, my 'secretary of style' -- is a revolutionary!" "June knows how to take fashion, turn it into style, and give you automatic Star Power! I always feel confident when working with her that people will take notice, and she does it so effortlessly!" "I've known June for over a decade. Celebrities like myself have trusted her to craft our images. Now, with this book, she is finally lending her expertise to the masses." "June brings creative energy and style to everything she does, adding a dash of zest that most people just don't have." "June gives women the tools and confidence we need to look and feel our very best."